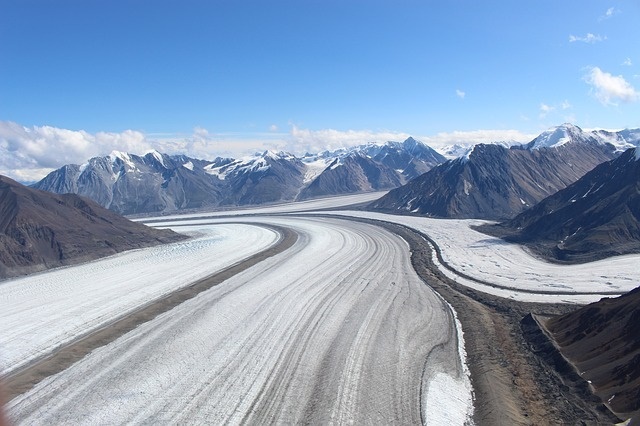 Whitehorse, Canada, is the capital of the ever famous Yukon and the transport hub for overland travel to Alaska and the Northwest Territories. While the city features requisite shops and restaurants where you can restock essential provisions, the main attractions are found out on the wide open road in sparsely populated lands brimming with wildlife and staggering scenery. 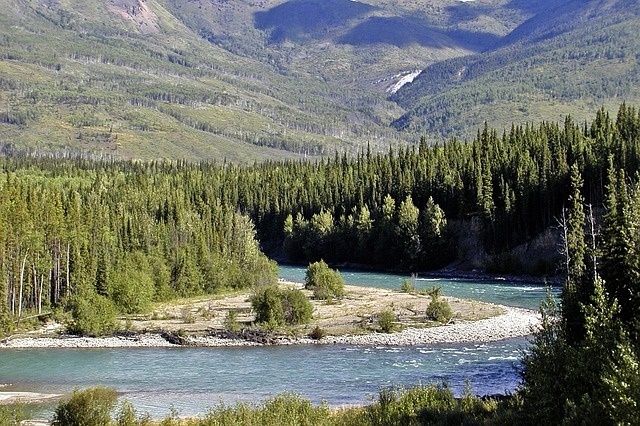 The region’s geography, abundance of government-owned campsites, and a host of campervan operators like Cruise Canada RV Rental, Apollo Campervan Hire, CanaDream RV Rentals, Klondike RV and Fraserway RV make the area a perfect spot to explore by a Whitehorse motorhome rental. Whitehorse isn’t a compact city. This makes it easy to either leave your Whitehorse campervan hire at a campsite, or take it with you to park in the city while you have a look around. In many cases, it is best to drive your RV rentals into the city because public transportation from site to site, or from the campsite to Whitehorse may be hard to find. While in Whitehorse, be sure to check out the SS Klondike National Historic Site. Then take some time to stroll through Rotary Park nearby and have a picnic. You can pick up food at a local cafe, or buy local goods through vendors around the area. Other must-sees in Whitehorse are the Old Log Church, the Yukon Transportation Museum, and the McBride Museum. Don’t leave on your Whitehorse motorhome rental without taking at least a quick trip on the Waterfront Trolley. It offers an excellent look at Whitehorse, and provides a feel for the beautifully rustic city. No trip to Whitehorse and the greater Yukon is complete without a trip to the Takhini Hot Springs a mere 40 minutes north by campervan hire or RV rentals. 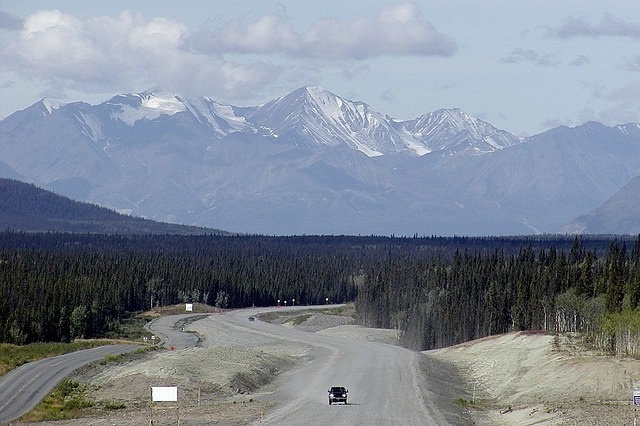 When you’re ready to head farther out, take a drive out west to Kluane National Park 140 miles out of Whitehorse. The park offers an array of outdoor activities from hiking, camping and sightseeing. 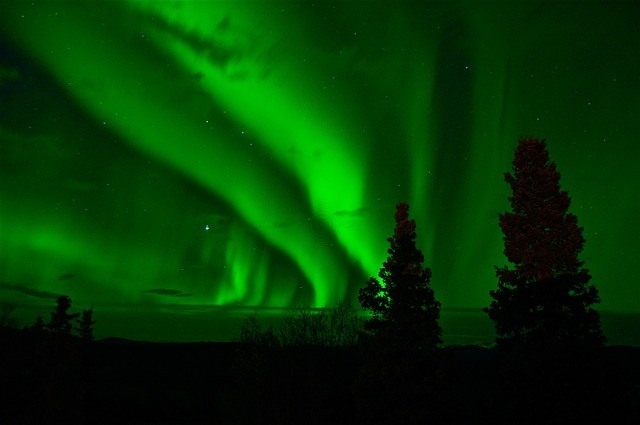 But the highlight of your trip, if you visit between late September and mid-April, is the eerily magnificent glow of the Aurora Borealis. Head south on your campervan rental and cross the USA border to Alaska and visit Skagway; where the area’s golden years can be relived at the Klondike Gold Rush National Historical Park. You can tour the area, hike the trails, take bike tours, and enlist in some gold panning adventures. You can even park your Whitehorse motorhome rental in Skagway campgrounds and float through the Inside Passage on a relaxing cruise. If you’re up for a better look into the wildlife of the Yukon, stop in to the Yukon Wildlife Preserve. This is a 700-acre conservation area filled with big game animals that can be observed in their natural habitat. For a really long-haul journey; follow the aroma of wine into the vineyards of British Columbia some 1,500 miles south of the Yukon border. Half that distance in the opposite direction is Inuvik at the terminus of the Dempster Highway in the Northwest Territories. This is dipping into the Arctic Ocean and immersing in a world relatively untouched by humans. As public transportation is as scarce as the region’s population; your Whitehorse motorhome rental will serve you best in getting around and out.